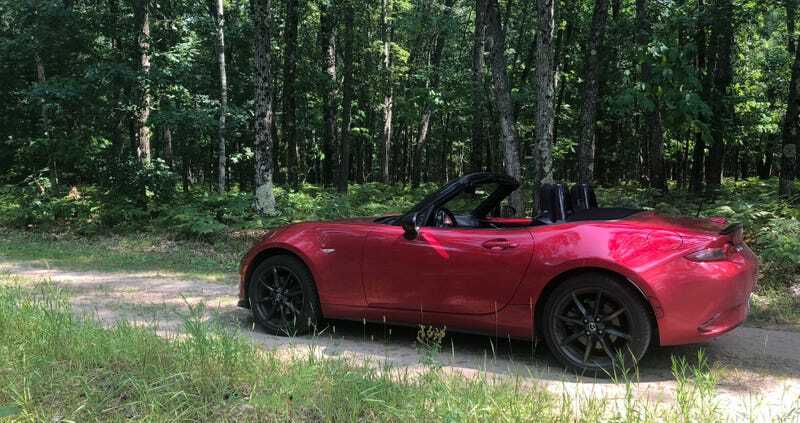 Took the Miata down some trails. Have damage to show for it. At one point it turned into a 2 track and the ruts got a little deep. Got sand over the windshield and pulled the lip off a bit. Love it out there though. Dusty isn&apos;t the only one sliding in the woods. Do I get a prize for &apos;Unlikely Rally&apos; car? Its not everyday a Lexus gets driven hard on the dirt.